Home State News Delhi Union HRD Minister Prakash Javadekar inaugurates ‘Chintan Shivir’. Union HRD Minister Prakash Javadekar inaugurates ‘Chintan Shivir’. The Union Minister for Human Resource Development, Shri Prakash Javadekar addressing at the Chintan Shivir/National Workshop on School Education, in New Delhi on November 06, 2017. 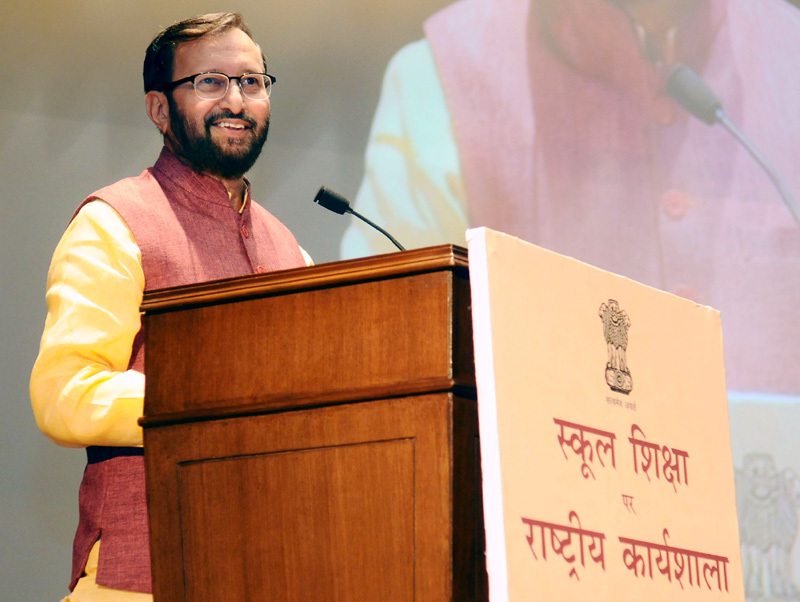 New Delhi: Union HRD Minister Shri Prakash Javadekar inaugurated a two-day National Workshop ‘Chintan Shivir’ organized by Department of School Education and Literacy, Ministry of Human Resource Development in New Delhi today. 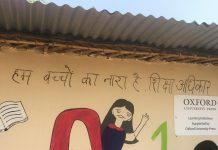 The main aim of the workshop is to provide holistic education relevant for 21st century India and to bring together key stakeholders from various NGOs, private sector and individuals to deliberate on key themes in the education sector. Speaking on the occasion HRD Minister Shri Prakash Javadekar congratulated the officers of the ministry for organizing the workshop by which we can learn from the best practices of each other. He informed that workshop mainly focuses on five themes i.e. Digital education, Life Skill education, Experimental learning, Physical Education and Value education. He envisaged ‘Operation Digital Board’ to be operational in all the schools of the country in the coming years. He said government and various other organisations working in the field of education should do content Aggregation and create a common digital platform to provide digital education for all the students of the country. The Minister said education is incomplete without Physical Education. Students must do exercise, yoga, aerobics, running depending upon their choice to stay fit and healthy. The Minister further said life skill education and value education is the need of the hour and one must inculcate these attributes in his behavior for the holistic development. Speaking on the occasion MoS, HRD Shri Satyapal Singh said that the main aim of the education is to provide complete development of a person and to inculcate humanity in them. He said complete development involves development of human body, mind, wisdom and soul. He further said that human body can be developed by teaching physical education and wisdom can be gained by value education. We must teach our children the value of life and education. He appreciated the efforts of the organizers and wished them all the success in future endeavors. Union HRD Minister Shri Prakash Javadekar also launched a Compendium on ‘Innovations and Best Practices in School Education’ and a State-NGO-CSR Portal – ‘Shaala Sarathi’ on the occasion. Over the course of two days a total of 157 organizations/experts will be making their point via presentations. The participants will be divided theme-wise and detailed discussion would be held amongst the participants who would create an actionable roadmap that will be presented to the Union HRD Minister. Shri Anil Swarup, Secretary, Department of School Education & Literacy, Smt Rina Ray, Spl. Secretary, Department of School Education & Literacy , Smt Anita Karwal Chairperson, CBSE and other dignitaries were present on the occasion.